It’s springtime in North Texas and that means two things – your allergies are kicking into high gear and termites are swarming. 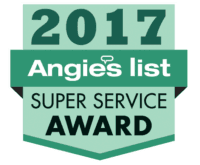 At Safe Pro Pest Control in Frisco TX, we can’t do a lot about your seasonal allergies but we can help you with your termite problems. Termites are a plague on homeowners in every state of the United States except Alaska and because they’re our public enemy number one when it comes to pests, you should probably learn as much as you can about them to stay ahead of them. You can make your home less attractive to termites. You can’t really keep any pest out of your home if it wants to get in. But, in the case of termites, you can make your home less attractive to them by fixing leaky faucets, making sure water is directed away from your home with gutters and downspouts and keeping any standing water away from your home. Termites need moisture to survive. When you deprive them of it, they’ll be less likely to hang around. In addition, removing piles of wood, debris and mulch from around the base of your home will remove a source of food that will lead them straight into your home. Termites are active all year round. Sadly, if your home is infested with termites, it’s infested all year round. You’ll notice their activity more in the spring when they swarm but they are constantly eating the wood and other cellulose-based materials in your home through the summer, fall and winter. Some evidence of termite activity, like mud tubes, will still be visible in the winter time. Termite swarms around your home mean you’ve already got a problem. Even if you pick up the phone to call us at Safe Pro Pest Control in Frisco TX at the first sign of a termite swarm, you’re already too late to stop an infestation. Termites are already in your home. Only fairly mature, established colonies can send out swarmers to reproduce in the spring. Home termite treatments don’t work. Subterranean termite colonies can contain up to a million termites. 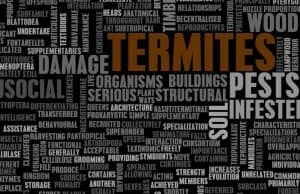 So, while the hardware store treatments you buy may kill the termites you see, you can be sure that there are many, many more termites you can’t see living in an intricate system of tunnels that lead away from and around your home. 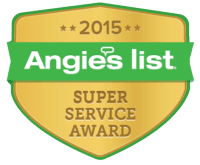 Only a professional pest control expert can effectively treat your whole termite problem, not just a symptom. Three-quarters of all structures in North Texas and the U.S. are infested with termites to some degree. That’s why it’s important for you to have a professional inspect your home for signs of termites and any damage they may have caused. 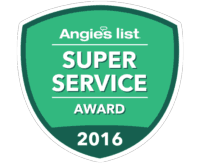 Call us at Safe Pro Pest Control in Frisco TX at (214) 773-9548 to schedule an inspection by one of our trained technicians. You can also visit us at www.safepropest.com to learn more about us.